With Mother's Day next weekend (and the long days of summer around the corner), it's time to think about gifts for Mom that are sure to make her smile. Yes, flowers and breakfast in bed are wonderful, but let's face it, sometimes it is nice to give her something that combines just the right qualities: fashionable, functional, practical, high quality... you know, something that Mom would want and use but probably wouldn't buy for herself because she's always thinking about her family instead? Fortunately, the perfect Mother's Day (and beyond) gifts are available online or at one of the many convenient neighborhood locations of RadioShack. One of the nation's most experienced and trusted consumer electronics specialty retailers, RadioShack offers the most innovative products and services from all of the leading brands. Whether you are shopping online or in-store (there are retail locations across North America), you'll always find the best technology solutions to fit your needs. 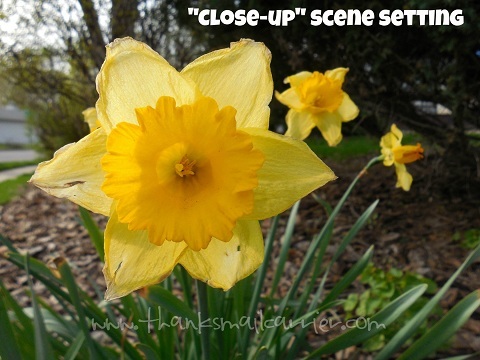 · Have a mom who loves to connect to social media, movies and more? Gift her the Amazon Kindle Fire HD tablet ($199.99) and watch as she lights up with excitement. · A mom on the go needs on-the-go power with Enercell Power Banks. The Enercell 6000mAh Portable Power Bank ($79.99) can power two devices at once for up to 15 additional hours of run time. 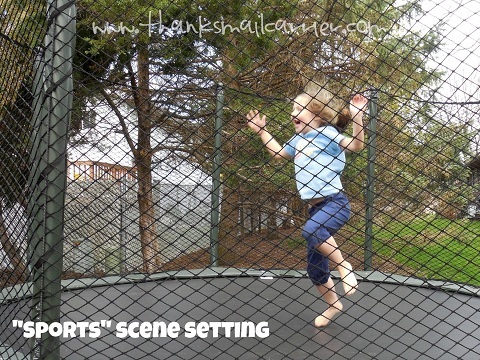 · Busy lifestyle keeping mom out of the gym? Consider the Fitbit Zip Wireless Activity Tracker ($59.99) for the busy mom who is a fitness fanatic but doesn't always have time in the day to work out — this tiny little device accurately captures your activity all day to keep you moving and on the path to a healthy lifestyle. · Give your music-loving mom the gift of sound with an iPod touch ($199.99) complete with colorful AUVIO earbuds ($9.99) to match her personality. · No mom wants to miss a single moment. Let her capture the memories with a fantastic digital camera such as the Canon PowerShot SX160 IS 16.0MP Digital Camera ($229.99). Considering that I not only worry about missing great moments with my family but also take a large number of photos for this blog, I knew right away that this digital camera, or any of the great selection that RadioShack has to offer, would make a wonderful Mother's Day gift... for me. 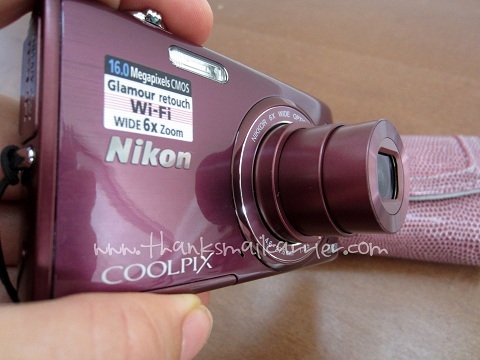 While I've owned and used a variety of other cameras over the years, I was eager to try out the Nikon COOLPIX S5200 16.0MP Digital Camera Bundle in plum even before I had it out of the box. With so many great features listed that make this camera great to simply point, shoot and share amazing photos, I knew that it would be just the thing to allow me to capture moments (and products) big and small with ease. 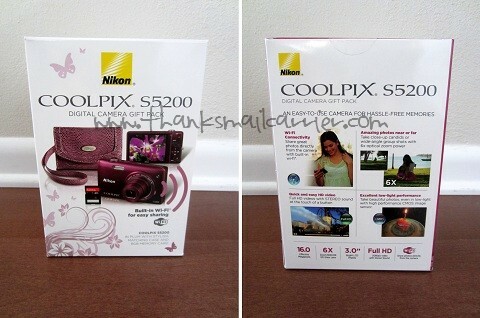 As I pulled each of the items out of the box, I appreciated that RadioShack had put together this bundle for moms to have everything that they need to get started using their COOLPIX S5200 right away. 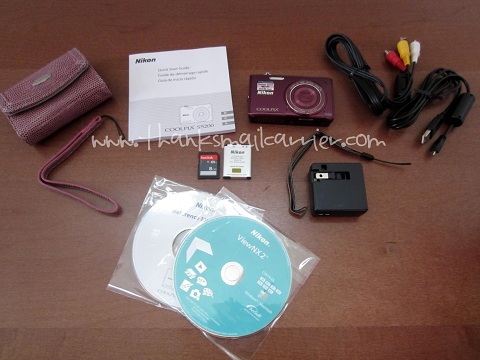 No buying a separate memory card or case when everything you need comes together! Along with its compact, slim, lightweight size (perfect for slipping into a purse or pocket), the Nikon COOLPIX S5200 has a 16.0-megapixel backside-illuminated (BSI) CMOS sensor that captures high-quality images and video, even in low-light conditions. Featuring a wide-angle 6x (26mm to 156mm) optical zoom-NIKKOR glass lens, the S5200 ensures crisp, detailed images that can then be uploaded and shared instantly using the camera'’s built-in Wi-Fi capabilities. In this day and age of social media, being able to connect to compatible smart devices via the Wireless Mobile Adapter Utility app just makes sense! After charging up the COOLPIX S5200 (I love that this is done by simply plugging the camera into the included charger, as opposed to having to remove the battery and use a special charger), it only took a minute for me to set the date and time and begin shooting. That smiley face option (Best Smile Selector) at the bottom is so unique - it automatically selects the shot that shows your subject's best smile! ...to being able to quickly pull a picture into the Quick Effects option and turn your photo into a fun work of art. However, even without adding or retouching anything, the COOLPIX S5200 makes it easy to get a great shot due to how well it performs in low light (I'm a big fan of shooting without the flash whenever possible), Subject Tracking so that pictures with kids or pets still come out clear, being able to capture Full HD videos, and much more. Talk about versatility! 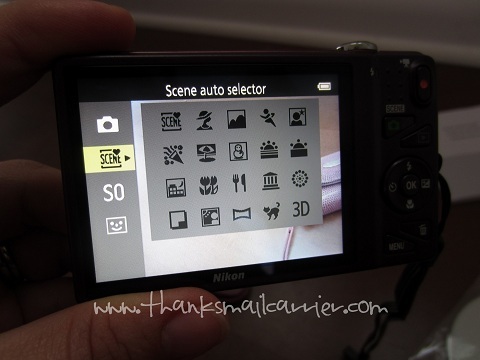 While I am far from being a professional photographer (or all that much of a techie), I believe that is why the Nikon COOLPIX S5200 digital camera has easily appealed to my needs and personality. All of the features are simple yet intuitive, making it possible for me to whip this out of my pocket and not miss a moment in our lives. 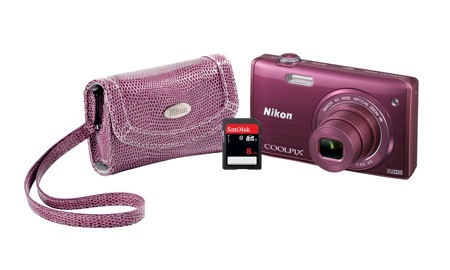 As well as offering this quality camera in a bundle so that you don't have to worry about purchasing separate necessities, RadioShack is currently offering the Nikon COOLPIX S5200 16.0MP Digital Camera Bundle in plum at the eye-catching price of only $129.99 (regularly $229.99)! Pretty amazingly cheap for a brand name camera (and accessories) that looks and performs as though it costs much more! 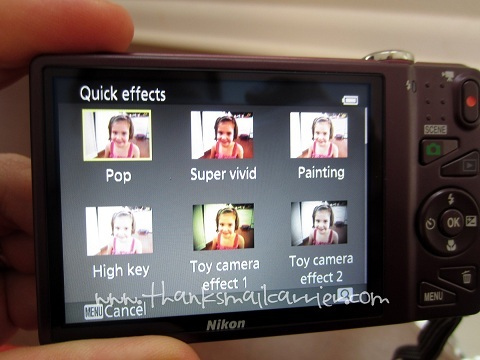 Plus, even if the COOLPIX S5200 isn't quite the right fit for Mom, RadioShack does also offer many other Nikons and other brands of cameras (in all sizes and varieties) so that it is easy to find just the right one for you. For Mother's Day, graduation or upcoming summer plans, RadioShack has the technology to make life easier and to thrill your lucky recipient. Be sure to visit them in store, on their website, and connect with them on Twitter and Facebook. I love Nikon & it looks like a great camera! 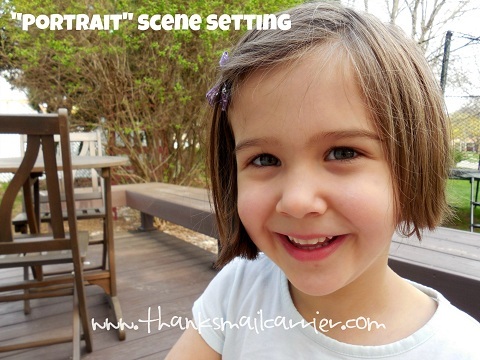 The photos turned out great too, did she get a hair cut? Super cute! Wow. What a great bundle and camera. Thanks for sharing. That looks like a sweet point and shoot! I love B's short cut! I would be one happy mommy to get this for Mothers Day! This looks like a great camera! Thanks for the review! I like that they bundle everything together instead of nickle & dimeing you to death like some do. I am looking for a quality camera similar to this one. I have a good NIKON. (old one) I would like a back up. Thanks. I would love to get this for Mother's day. I have dropped hints so I will keep my fingers crossed. Ooh! I love this Purple! I have been looking at cameras recently. This is one of the I had looked at,only Ididn't see the purple. So pretty. And the wristlet that goes with it, too cute. I may have to double chexk on this! Great Review! Saw this camera at Target (Or Best Buy?) the other day and of course played around with it. It it definitely a good camera for a great price! I like Radio Shack and all their gadgets/goodies and camera is very nice.